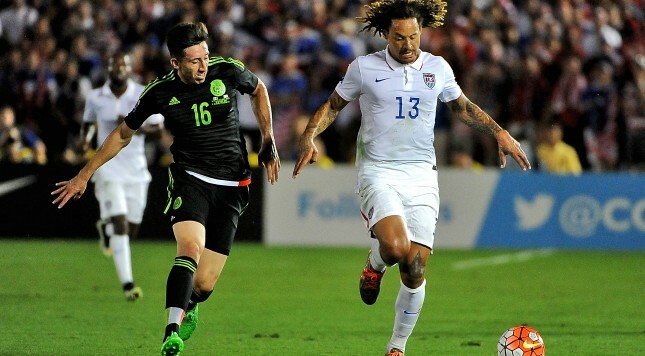 Few players have had such an immediate impact as Jermaine Jones has had on the Colorado Rapids. Prior to his arrival, the Rapids had made a habit out of scoring as few goals as possible and still sneaking away with points. It took them five matches to score more than a goal in a game. Yet in those five matches they still managed two wins and a draw. Not exactly the MLS Cup material, but the defense was in place, as through those five games, they only surrendered three goals. Still, it was clear an offensive kick was needed. Jermaine Jones provided that. Following Colorado’s massive counterattack win against Sporting KC where they scored two goals for the first time, the seasoned USMNT veteran returned and has ensured that this Rapids’ offense has clicked. In the three games that Jones has featured in, the Rapids have scored seven goals – more than the five they scored in the six games prior to Jone’s debut. That sort of ‘flipping the switch’ offensive turnaround is worth investigating. Jones took some time out to talk with FourFourTwo about the quick turnaround in Colorado and how so many players from so many different places could all come together and turn the team into what it is today. What Mastroeni has done deserves serious credit, as he has taken the two-time reigning Swiss golden boot winner, Shkelzen Gashi, a lower-level English striker, Kevin Doyle, a creative mind from Seattle, Marco Pappa, and the brawn of the USMNT, Jermaine Jones, and created an offense that looks like they’ve been playing together for years. Teams like New York City FC have tried to do similar things but they are still works in progress. Perhaps the most exciting bit about the offense is seeing Jones in the middle of the formation at the seemingly unfamiliar No. 10 role. As mentioned, he quickly asserted himself as the glue that holds this offense together, but in his career, he has been traditionally used as a defensive midfielder. Jones’ rocky exit from New England has to feel like a distant past with how well he is fitting in with Colorado’s success. He is playing the role he has always wanted to play and was adamant that it was the role he would continue to play. When he first came to the Rapids, there was some chatter that he might play along the defensive line, but Jones was quick to dismiss that idea. And attack he has done. Jones has now tallied two goals and an assist in just three games with the Rapids. On his debut with the squad in the blizzard against the New York Red Bulls, Jones put on a show. As Stat Zone will show you, he was quite simply everyone on the field doing everything. Aside from accounting for both of the Rapid’s goals with a goal and an assist, Jones also created four other chances, completed five tackles from touchline to touchline, won four aerial duels, both of his attempted take-ons and recovered the ball eight times. I’m exhausted just reciting what he did, but Jones lived it. We have witnessed a similar thing happening in Philadelphia. These are two teams that not a lot of people expected much out of and they are using that to their advantage. There are few catalysts to accomplish that feat better than Jermaine Jones, who has been at the center of the perennial underdog United States Mens’ National Team. And now that mentality will be spreading with the addition of Jones’ longtime international team mate Tim Howard.